An extrasolar planet, or exoplanet, is a planet outside our Solar System and within the Milky Way galaxy. An extragalactic planet resides in a galaxy beyond the Milky Way.. The first published discovery was made in 1988 by the Canadian astronomers Bruce Campbell, G. A. H. Walker, and S. Yang at the University of Victoria . 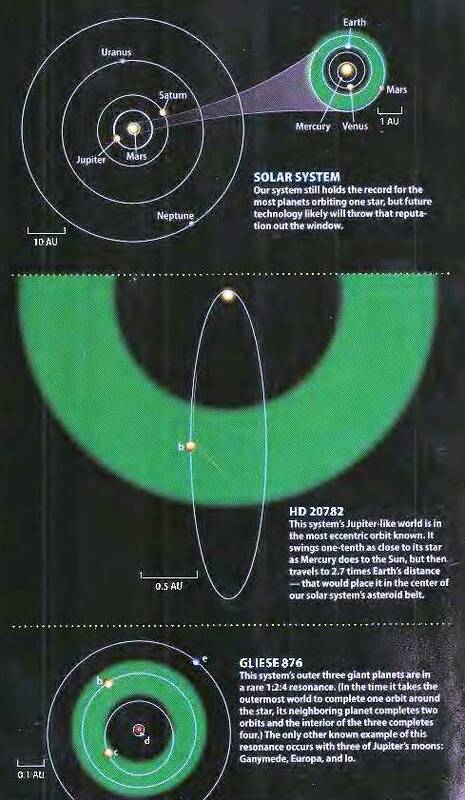 Although they were cautious about claiming a planetary detection, their radial-velocity observations suggested that a planet orbits the star Gamma Cephei. This discovery was later tentatively confirmed in 1989 and finally confirmed in 2003. As of 01 July 2018, a total of 3,797 confirmed exoplanets are listed in the Extrasolar Planets Encyclopaedia, including a few that were confirmations of controversial finds. 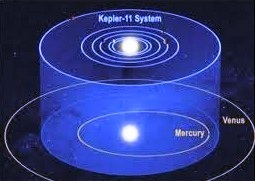 The majority of these planets were discovered by the Keplerspacecraft. In addition to the confirmed exoplanets, there are 4,496 potential exoplanets from its first mission, and 480 from its second mission. The nearest known exoplanet is Alpha Centauri Bb. In the Milky Way galaxy, it is expected that there are many billions of planets (at least one planet, on average) orbiting around each star, resulting in 100–400 billion exoplanets, with many more free-floating planetary-mass bodies orbiting the galaxy directly. Almost all of the planets detected so far are within the Milky Way; however, there have been a small number of possible detections of extragalactic planets. 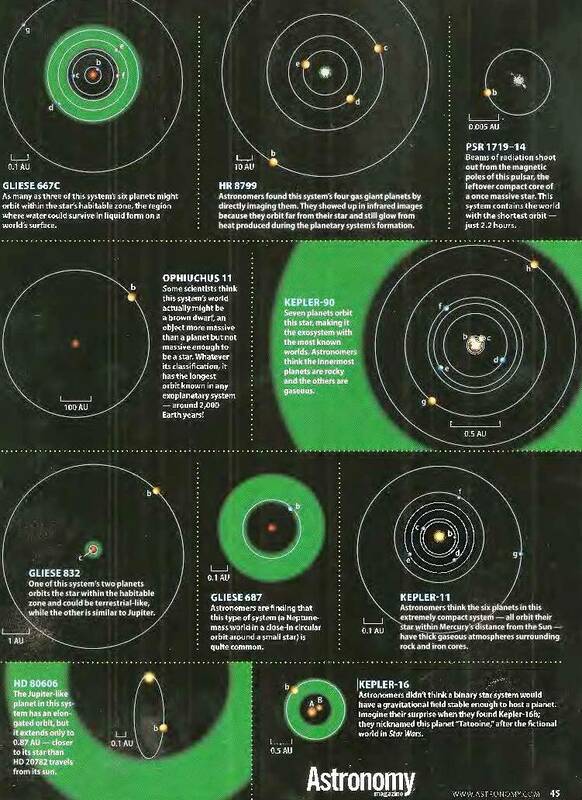 Some known exoplanet systems from Astronomy Magazine, Feb 2015.